Being a child therapist does not make you immune to struggles in your family. Sometimes, it actually makes you feel a little more like you’re under the microscope when things do go wrong. A number of years ago, my husband and I realized that our then 7-year-old son had Obsessive-Compulsive Disorder (OCD). I knew what it was for several months before we sought treatment. I kept hoping that I was wrong or that it would go away. It didn’t – and I didn’t know how to help. I felt incredibly ashamed when I made that first call for help. I was sure that I was going to hear that it was all my fault – which shows how little I really understood about OCD at the time. Luckily, we were directed to a wonderful therapist who provided the whole family with an education. The tables were turned now, and I was the one on the other side of the therapy office. I had a whole lot of learning (and unlearning) to do. Before my son was diagnosed with OCD, I never treated a single case. I knew that I didn’t know enough to help. As my son got better, though, I developed a reputation for being the person to go to for information. And then the requests started coming in. I realized that I knew too much to say, “No.” I got myself back into training with top experts in the country to learn how to do this treatment well. Now, my practice is primarily people with OCD or related disorders. It’s probably the most satisfying work I’ve ever done. My son is a teenager now and OCD together with teenage hormones makes for an interesting mix. We live it at home. I live it at work. My husband would sometimes like to escape from it all. I’m writing this blog to find an outlet for all the experiences that are running around my head and need a place to live. Hopefully, what I experience will touch others. * Note: All names used in this blog are pseudonyms to allow for privacy. I am so glad I found your blog. I am an Occupational Therapist. I have worked primarily with adults and the elderly but had mental health training and when I was in school, I wanted to work with socially and emotionally disturbed children. My daughter developed OCD, when she was 8, I was sure that is what it was and yet, I too wanted to be wrong. She is 11, almost 12 now and still has a ways to go but we have a wonderful therapist. Her younger brother who just turned 5 is showing signs of OCD. It is a challenge. I look forward to reading your posts. I was wondering if you might share some information in a blog post. I am looking for a therapist for my loved one. What should I be looking for to make sure my loved one has the best chance for success? Would it be a certain degree? A feeling when we meet them? If you feel up to it, I am sure many people would benefit. Thank you for providing hope for those of us out there going through similar challenges. Hello there! I just stumbled on this blog and I’m really happy I did. I have OCD in the family in the sense that my father has it… and passed it on to me. I’ve had it since I was 5 and have gone through periods of obsessively washing my hands to purely obsessional thoughts about hurting others, hurting myself, and extreme doubt in my decisions and life situations. I often worry that I will pass OCD along to my children, and do a lot of research on how to detect OCD early and help a child deal with it. I have an amazingly supportive boyfriend and bring my concerns up to him all of the time, and sometimes it seems that being obsessed with making sure my children have an easier time than me is another obsession! Angie, I appreciate the help you’re providing others by sharing your experiences with OCD in your family. I think more people should read your blog. 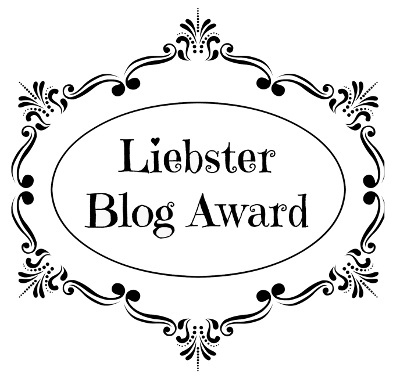 So I nominated it for a Liebster Award. Thank you for sharing your experiences and letting the world know that we are not alone. My sweet daughter has sudden onset OCD that began when she was 15. We have sought professional help but this far, the condition is winning out. She is unable to focus on a consistent basis and is emotionally volatile. It is difficult to get through the day and handle normal deadlines and responsibilities. She doesn’t see that anything is wrong with doing what she wants to do, when she wants it, and demanding what she wants, for the sake of satisfying her OCD. Family events and peaceful living are unpredictable. Hoping for the best for the futur but not sure how to handle. Thank you so much! It helps to be able to talk, educate, and work towards the best solutions together. I’ve been reading your blog and it’s incredibly interesting! I wanted to quickly message you and find out whether or not you’d be interested in taking part in my Mental Health Art Auction. It’s a new project I’m running whereby we aim to raise awareness, fight stigma and raise money for charity. However the level of commitment is completely up to the individual blogger – any help is appreciated! I’m also glad to have found your blog. I have begun reading your posts from the most recent. I read you mentioning that you are waiting for your son to decide he needs to fight back against his OCD again. My 19 year old son has OCD. His most problematic obsession is with some harm coming to me. So much so that he drives me to and from work (I’m a teacher) and won’t let me leave the house without him to go grocery shopping, etc. In fact, he doesn’t even want me to go out to the mailbox for fear I may be kidnapped. I feel incredibly suffocated by all of this. I can’t do anything with friends or even my sister without his agreement and his going along with us. We began ERP therapy with a wonderful therapist, but he refused to continue after about 4 sessions because it was so very difficult and frightening. If I wait for him to decide to go back into therapy, I am afraid I will have had a nervous breakdown by then due to its daily stress on me. Any thoughts as a mom of an OCD teen? Thanks for sharing your experiences with us all. I definitely feel less alone. Hi Faith. I am so glad that you are finding my blog a way to feel less alone. And I am also glad that you reached out. First, my heart goes out to you. I know that it can be extremely taxing on the entire family when a member has OCD, especially when anyone becomes pulled into, or is the target of, rituals. OCD is definitely a whole family issue. Regarding your question about my thoughts as the mom of a teen with OCD – and one who is refusing treatment, at that – I’m happy to share some thoughts. Blake actually went through a good deal of treatment when he was younger and then again when he was a young teen. Both times, my husband, Michael, and I were all a part of the treatment. We were there to support Blake; however, we were also there to learn how to stop accommodating his OCD symptoms and to pull out of his rituals. So, although Blake continues to have OCD, we have adjusted our behavior so that we are not a part of his rituals. His OCD is his responsibility and we do our best to stay healthy (we are not always perfect, but we continuously apply what we learned in treatment). You do not have to wait for your son to choose to return to treatment in order for you to begin to get your life back. However, it is almost impossible to do this alone. You may wish to contact the therapist who your son went to see to see if that person will see you and help you develop and implement a plan. Alternatively, you can use the therapist locator tools on the websites for the International OCD Foundation or the Anxiety and Depression Association of America to find someone who is skilled with OCD and who is willing to work with you. Here are two articles I hope you will find useful on the topic. They are by Heidi Pollard and C. Alec Pollard, Ph.D. who are internationally recognized for their work with families of treatment refusers/avoiders. I wish you all the best. Things CAN get better. Sending you strength. Best of luck to Blake, I hope he gets freed soon! Thank you for sharing, Patrick. I hope he gets freed soon, too! I just ran across your blog and I am amazed at how many of your families experiences with OCD mirror those of our family. My younger son suffers from severe OCD currently. His OCD came on fast and furious around 6 yrs ago. (The last 4yrs being primarily scrupulosity) The initial presentation hit with such force and intensity I felt as though a tornado had torn through our lives. The confusion and intensity of the situation was overwhelming. He changed from a normal teenage boy to a person I did not recognize. The depression that came to him along with the intrusive thoughts and compulsions of his OCD effected me as much as my son. The days when I would arrive home to find him waiting for me in the driveway crying and completely overwhelmed, I thought we may not make it through this and was certain that we were alone in this struggle. He is now 20 yrs old. He stopped going to school at 16 because he couldn’t function in the environment, he is still living at home currently and is almost house bound at this point because the stress of dealing with the demons that will take over his soul when things are not done right have made him avoid most everything possible. He is now down to one pair of shorts he can wear, sometimes can not manage to choose to correct glass so that he can drink something during the day, and the praying and rituals consume the majority of his life. Despite trying multiple medications, CBT, and other therapies through the years, life is still a struggle every day. OCD can absolutely be a debilitating disease. I hear OCD used so much now in normal conversations to describe peoples habits or preferences for order or cleanliness. I don’t believe most people have an understanding or appreciation of it’s potential to alter lives. I have to say I wish your family the best and your not alone. Hopefully one day science will have a better understanding of this disease and develop more effective treatments. There are so many that suffer and a huge percentage of those people for which established treatments and medications have little or no benefit. God bless your family! Hi Michelle, I’ve been away from a computer for a couple weeks, so I am just now seeing this. Thank you for stopping by and for sharing your story. My heart goes out to you, your son, and your whole family. I hope that he is able to find something that is helpful to him. Do not give up! As for me, I plan to keep on educating others as to what this whole OCD experience is really about. With knowledge and awareness, hopefully there can be continued improvements in the treatments that are available. Just want to thank you for your blog. When my daughter was having anxiety issues a year ago, I spoke to a psychology major at our church who suggested that she seemed to have some OCD symptoms. I ‘Googled’ the OCD and some descriptive words (of her symptoms) and BAM! Scrupulosity came up…along with your blog. I gained great comfort in your posts (just by knowing that we were not in this alone!). You helped inspire me seek help, to research OCD (specifically scrupulosity) and support (from friends). Through MUCH prayer, therapy with a qualified doctor (ERT & CBT), we have been able to regain our daughter back. She is now happy & psychologically healthy. She understands that OCD is not a condition that is curable. That it can rear it’s ugly head at any time (like just last week when the faced driver’s ed)…but she knows how to identify it, how to ask for help & how to ‘attack’ it…making her able to function. I’m glad I found your blog! The perspective you offer in your blog is inspiring. You are a great mom! I hope Blake can win his battle with his illness. I would like to personally congratulate you as your blog OCD In The Family has been selected by our panelist as one of the Top 50 OCD Blogs on the web. I personally give you a high-five and want to thank you for your contribution to this world. This is the most comprehensive list of Top 50 OCD Blogs on the internet and I’m honored to have you as part of this! I am a mother, grandmother and an RN. I am seeing possible OCD symptoms in my 8 soon to be 9 yr old Grandson. My youngest son began therapy for OCD when he was 12 ( he’s now 27). There is too much to write here about that. My grandson is using all the shampoo, hand soap , saving cream , dumping it down the sink. He locks the bathroom door and dumps all the liquid soap down the sink. When he takes a bath or shower if the bottles are there, he uses all the shampoo and body wash. I don’t think he is washing with it but pouring it down the drain. He also sprayed a whole bottle of his brother’s cologne on himself. My daughter just told me about this today. It has been going on for awhile. They have disciplined him in different ways involving spanking ,requiring him to do extra chores and taking away his Halloween candy. I know from experience that these methods do not work for OCD! But I’m not sure if these are OCD behaviors, they are not familiar to me. My question is do you think these fall in the OCD category and any suggestions for my daughter? Hello, I’ve just come across your blog. It seems that my youngest son and yours have a lot in common. My son is almost 18. I found the images of your son’s hands and they could be my son’s. My son has been through a lot since becoming a teenager, starting with a very painful family breakup and divorce. He was always sociable, played football, and did well at school. Maybe we just didn’t see how much he was going through although we all had therapy at the time. He started to struggle at school and was diagnosed with dyslexia when he was 16. He had support outside of school for that but then decided he didn’t have a problem and no longer wanted to have assistance. Now he is a socially isolated boy convinced that the world is contaminated and an obsessive hand washer. Most worryingly he has started to refuse to talk to anyone including his family. He communicates by writing notes or signing. He absolutely refuses to see a psychiatrist. I am going to see a psychiatrist next week. If you have any ideas how I can get through to my son. I miss him so much. Thank you for writing this blog. Your love and respect for your son are so very clear. Best wishes. Hello to everyone behind this website! I’m a high school student, about the same age as Blake. I am doing an assignment on obsessive compulsive disorder and came across this page. I was wondering if I could use some information and stories from this blog to show just how drastic OCD can be. If it is preferred that I do not do so, just say the word. P.S. – I have a mental issue called trichotillomania, a disease far less well-known and widespread as OCD. Anyways, I know the internal conflict of whether or not to see a counselor/therapist, etc. Thanks for taking the time to read all this! From a non-scholarly standpoint, I’d like to wish you all the best in your endeavors. Seeing this page made me feel inspired to overcome my own mental issue, and I thank you all for that. Bix, that’s awesome that this page inspired you. I just told Blake and it made him smile! Best to you! Bix, you are more than welcome to use information and stories from this blog for your assignment. If I can help in any way at all, please let me know. And I am very familiar with trichotillomania. It often comes along with OCD, so I see it in some of my patients. You sound like a courageous guy! Thank you for your blog about how OCD can affect siblings. I have a 14 year old son with Tourettes and OCD (not yet officially diagnosed). The sudden onset of debilatating OCD has significantly affected our family for a few months now. He cannot look at his sister. If he does, he has to “cancel” her out a set number of times by looking at other family members. We see a neurologist in a few weeks. He doesn’t want to go and is in denial that he needs help. Our whole family could use counseling, especially my daughter. She feels like a prisoner in our house and wants to steer clear of seeing him b/c he causes so much disruption. He is a homebody and has completely changed in the past few years with the onset of Tourettes first and now OCD. It is so difficult. Hoping to get some options that will help at our appointment. It is destroying our family of 6. I am so sad for him and all of us. Thank you so much for writing these blog posts. My twin has OCD and I related so much to Michael. Before I went to college I told my parents I was leaving and never coming back because I couldn’t deal with it anymore. I don’t know how to tell them how it’s affecting me. I live far from them now but anytime they come visit, my sister and I always have an argument. Everyone just let’s her act how she wants and she’s treated like the baby of our family. They consider me the older sister even though we are twins and it’s excruciating because she is never held accountable for her actions. Reading “OCD in the Family” made me cry harder than I have in a while. I just don’t know how to let these feelings go. I love her but it’s just so hard to deal with her. Thank you so much for writing this. Courtney, Thank you so much for reading and for sharing your personal experience. OCD can be tough on everyone and it’s definitely rough on siblings. Michael has gone to therapy, both with Blake’s OCD therapist, and on his own. It has really helped him to be honest with us and with Blake. If you haven’t yet, perhaps a visit for yourself with a therapist who understands OCD could help you to sort through your feelings and find your voice. There’s also great resources for family members on the IOCDF website: https://iocdf.org/ . And Jon Hershfield wrote “When a Family Member Has OCD” which is really a book for you to find your own way to relate. https://www.amazon.com/When-Family-Member-Has-Obsessive-Compulsive/dp/1626252467 . Whatever you do, I will wish all the best for you.